to having a factory geared to the future. of our processes and products. Our state of the art machining with integrated in-process control is interconnected and allows constant monitoring of performances. 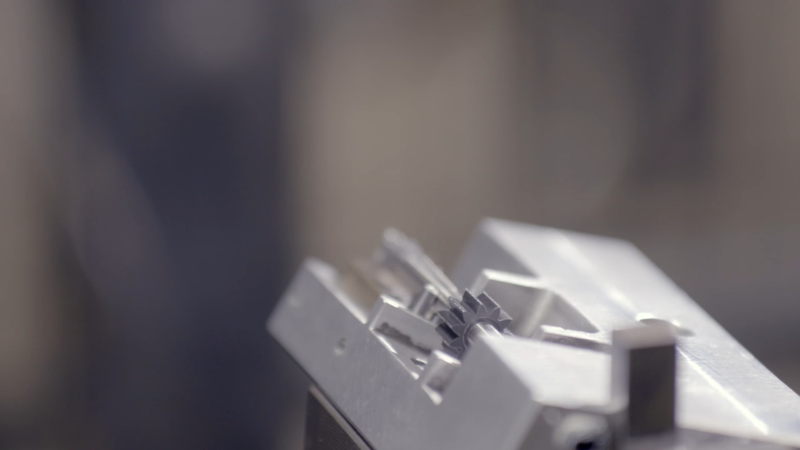 High precision machining centers correct processes through self-optimization. Big data offers extraordinary learning and improvement opportunities which make us added value to our customers. Manufacturing data provides valuable inputs to daily stand up meetings, where all managers get together to systematically address opportunities for improvement. All manufacturing documents are displayed on a touch screen, allowing the technician to access the correct information any times. Quality related information is input through mobile devices to enable real-time use of critical data. Customer orders are dated in less than 30 seconds thanks to an advanced planning and scheduling. A real time MES allow a direct connection between the factory and the information available to our customers. Full product traceability is guaranteed through FIFO material management and an advanced inventory management system. Our people are trained to manage complex systems rather than single specific tasks. This highest level of quality and competitiveness is appreciated by the customer who consider us as their preferred partner.